It is possible to program a web page or small application with little knowledge of programming. Use Google to search for examples and if you are lucky, you will find ready code and your are almost done. Even experienced programmers often retreat to search to save time and effort for finding solutions for their problems. Modern effective programming is unthinkable without using search, the Internet and collective intelligence. Therefore, search skills are becoming primary for an effective programmer. Now we don’t need to know and remember how to solve many programming problems – we can use search. We are becoming more effective, productive and able to solve wider range of problems. But does it mean that good search skills are enough for building software? This post will review the role of search skills in forming programmer knowledge and how to use search effectively. 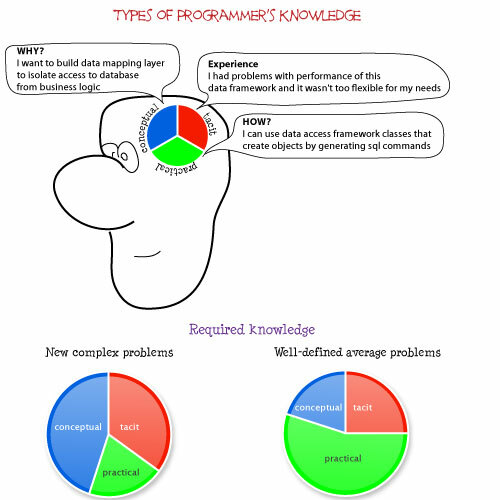 Types of knowledge and how it grows in programmer’s brains. From the first sight biological evolution looks too unpredictable to have any value for the constrained software development. We just don’t have time, money and resources for these wild experiment, unlimited trials and errors. It really seems that Nature could learn from us how to make things fast and effectively. However, there are some principles that helped evolution to come up with amazing and efficient designs that made life flourishing on the Earth. This post will explore what software development could learn from biological evolution. 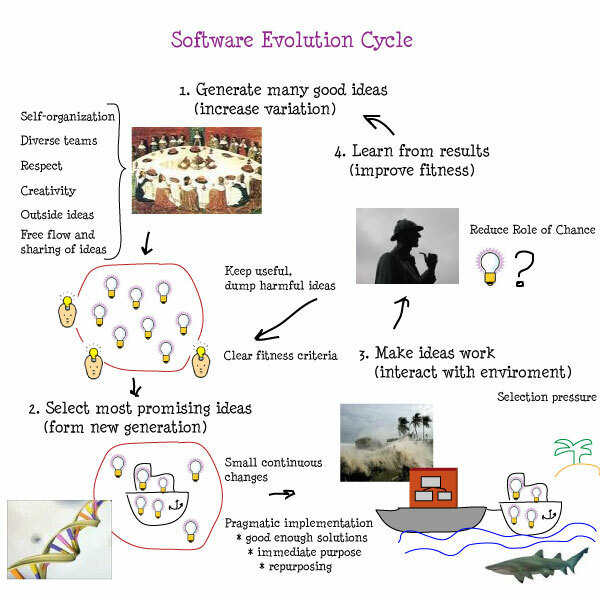 See my previous post for the review of evolution concepts and mechanisms and how they could be applied to software development.